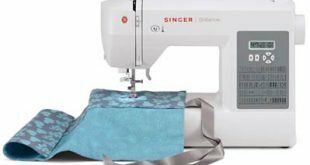 Review: SINGER 3223G Handy Sewing Machine - Good or Bad? Singer 3223G is a perfect start for beginners. Boasting of all the right features and accessories a newbie will need. Even expert users will still find something to love in this portable beauty. This review will cover the singer 3223G sewing machine. 3223G sewing machine lives up to its name of being a handy and simple machine. However, it is a true definition of how sophistication can also be simple. Equipped with everything you’ll need to grow from beginner to an expert. 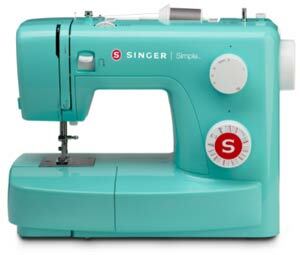 Let’s dig in deeper as to why you should pitch your sewing tent with Singer 322G. 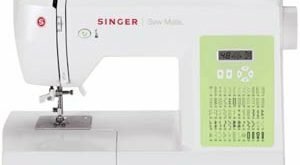 Why Choose Singer 3223G Handy Sewing Machine? For the sake of marketing and sales, many sewing machines are referred to as beast and workhorse. This one isn’t one of those, but a simple and easy to understand sewing machine. The machine is equipped with mostly the features that you need and provides you with all basic accessories that make sewing enjoyable. This ensures that a starter does not have to battle with understanding the machine while trying to pick up relevant sewing skills. Learning how to sew isn’t a walk in the park. However, with the right sewing machine in place, the walk can be faster. It is important to also note that with the right foundation, anyone can become a sewing professional. That’s why the foundational features of the Singer 3223G make it an ideal sewing machine. For a beginner, 23 built-in stitches are never too small or too much to learn the art. With any of these stitches, you’ll be able to carry out not just basic sewing but decorative, crafts and other forms of sewing. Interestingly, selecting your preferred stitch choice is even easier with the visible dial that point exactly at the stitch you are working with. There’s a free arm with onboard storage. With the free-arm, you are not limited to sewing hems or cuffs but collars. The singer 3223G sewing machine is packed with all the essential accessories which can be kept in the storage compartment. You won’t be needing a screwdriver to change the presser feet, they are snap on. There is no automatic threading in place, but an easy manual threading instruction can be found. Considering the available features, it will be more suitable for beginners. This will allow beginners to easily understand how a sewing machine works. With a simple sewing machine in place, beginners will be able to adapt and learn faster. This will save time and energy. Simply put, the time that would have been invested into learning the complexity of using a sewing machine will be diverted into learning more skills. 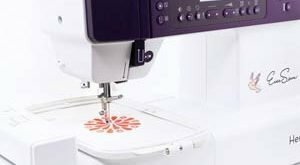 Therefore, if you are in search of a sewing machine to buy for a loved one new to sewing, then you are making the right choice.